While planning our trip to San Diego, I decided to try 2 scenarios: how much would it cost if we left from YVR compared to SEA? Well, it was no comparison. Our airfare would've been doubled if we chose Vancouver International. I eventually got airfare for 4 and 8 nights at the Marriott Courtyard for $1600.00 inclusive of taxes and fees. That seemed like a really good deal. Hence by virtue of leaving via SEA, we had to drive down to Seattle and ditch the car at Park 'n Fly. With $800.00 worth of savings on airfare alone, the gas and parking fee was well worth it. Of course we needed to eat before our flight which got me briefly thinking of Downtown. However, with the variables of traffic, we settled on somewhere close by at Southcenter. Seemingly out of nowhere was this strip mall with 3 Asian restaurants: one Thai, one Vietnamese and lastly Japanese, which was Miyabi. Seeing how Vietnamese would be too fast of a meal and that my kids wouldn't necessarily eat Thai, we went to Miyabi. Now don't let the location fool you. This is a legit Japanese restaurant from the owner down to the chef. 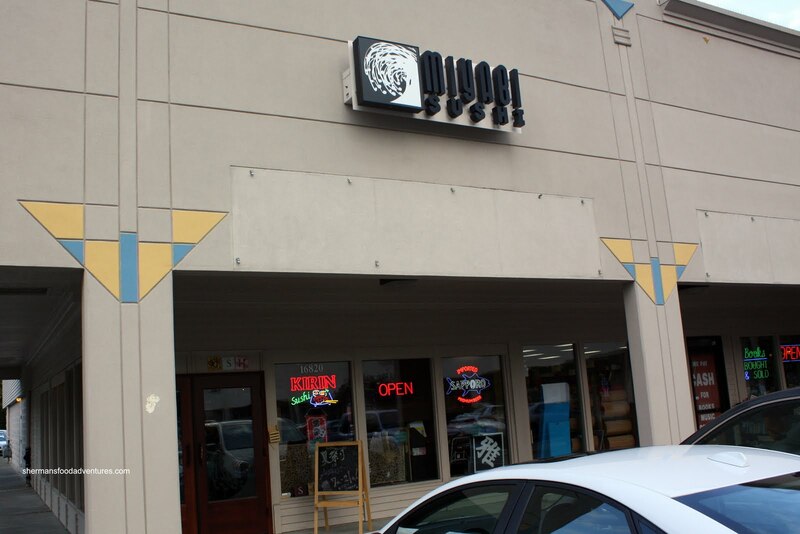 In fact, the current owner is Masao Kida who played briefly for the Seattle Mariners. The chef is Masa San who has worked in Tokyo. In that case, I guess we shouldn't have been surprised at the prices, which were on the higher side. 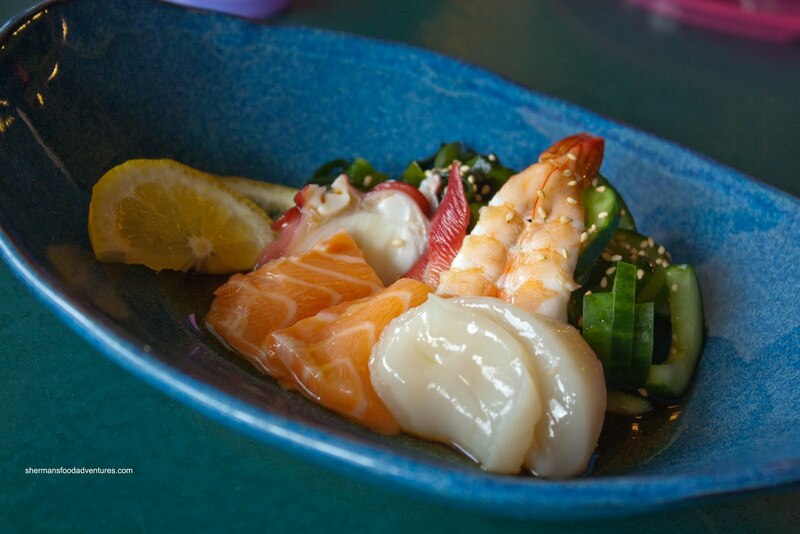 To change it up a bit, rather than starting with sashimi, we had the Seafood Sunomono instead. It consisted of 2 pieces each of tako, salmon, scallop and one ebi & hokkigai with wakame and pickled cucumbers. The seafood was certainly fresh and we enjoyed the wakame and cucumbers. There was lots of acidity in the ponzu dressing; yet maybe a little salty. We got 2 maki rolls starting with the Seafood Jumbo consisting of tuna, albacore, salmon, yellowtail, tobiko, imitation crab, scallop, shiso and avocado. 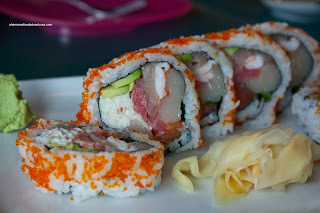 At $12.00, it was a bit steep for roll sushi; however, there was a lot of fresh ingredients and very little rice. The rice wasn't too bad, maybe slightly gummy. 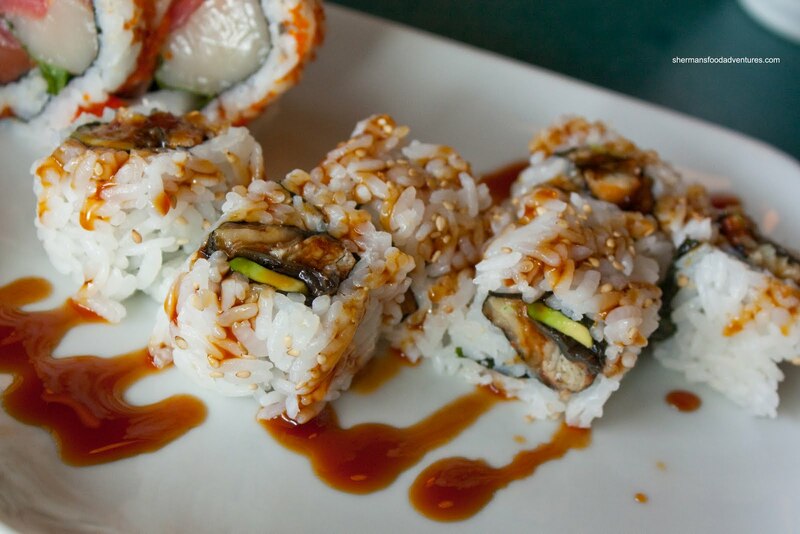 We also got an Unagi Roll which was simply unagi and avocado drizzled with unagi sauce. This particular roll was more rice heavy and with a modest amount of filling. Nothing particularly amiss with the roll; it was just very typical and served to help fill us up. At first, when we were looking over the menu, it was a bit difficult to find the items we wanted to order. You see, if you check out the PDF menu online, it almost appears that a 2-year old pieced it together. Very colourful; but with chunks of items here and there and not really making sense where they are located. Okay, enough of that. 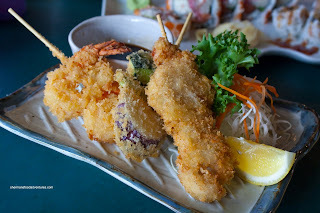 One item I did find was the Assorted Kushikatsu. As the name implies, this was several different types of kushi (ebi, eggplant, ton and zucchini) deep fried in panko. This was very good where the batter was crispy while the proteins and veggies were moist and juicy. Now where the kushikatsu was fantastic, the Tempura was not. 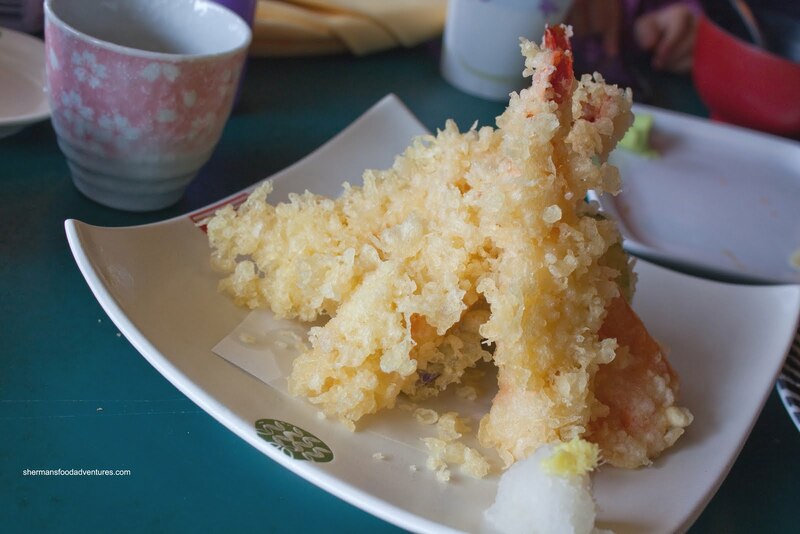 It was quite obvious from its appearance that there was far too much tempura batter. Therefore, the batter immediately below the exterior was slightly undercooked and mushy. This was not very pleasant and spoiled the excellent ingredients underneath (especially the ebi). 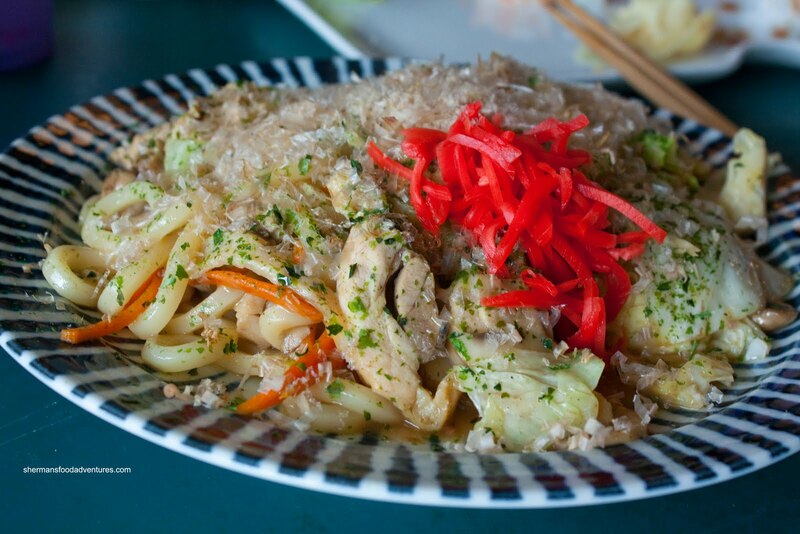 Seeing how the kiddies are on this Yakiudon kick, we decided to find it in the menu. Despite not being on the menu, they made it for us anyways and it turn out to be pretty good. This was no plain yakiudon. 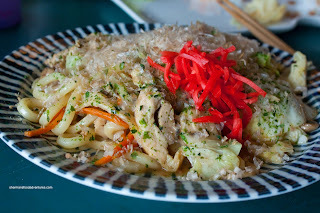 It had lots of tender chicken, carrots, mushrooms and cabbage while topped with bonito flakes, nori and beni shoga. The result was a good mix of flavours, albeit still being mild. The udon was a little soft, possibly due to the amount of ingredients; yet it wasn't terribly so. Overall, our visit to Miyabi was pleasant. I thought the service was excellent being attentive and courteous. The food was a little on the pricier side; but the quality was quite good. Pretty respectable for Seattle and actually pretty good for anywhere really. 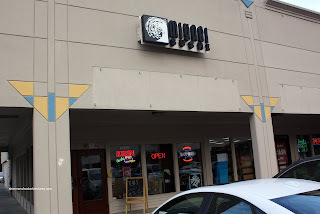 In my multiple trips to Tukwila (alas, for work, not pleasure), I tried several times to go to Miyabi and failed every single time to the point I just gave up. Why I failed? Not because of its location but because it was packed every single time. I mean, it is literally located in the middle of nowhere! While it saddens me it might not be anytime soon I will be dropping by (hence won't be trying them), at least it is good to know it was good. @KimHo The food is indeed pretty good, especially considering the location. I'm not sure what the Vietnamese place was called... LOL..